Ride Tickets and vouchers are valid throughout the season, every day the park is open and never expire. This offer is ONLY available online and comprises 250 Ride tickets, PLUS an additional 20 FREE Ride Tickets, 5 FREE Laser Maze Tokens AND 50 Redemption Tickets to use in Sands Amusements! 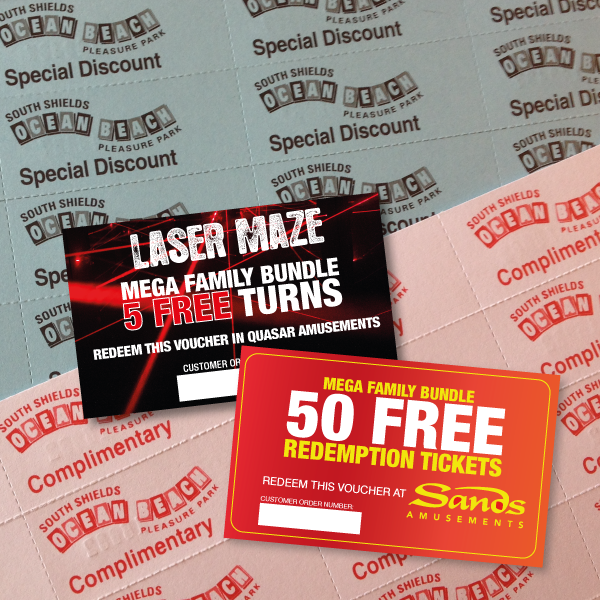 This offer is ONLY available online and comprises 250 Ride tickets, PLUS an additional 20 FREE Ride Tickets & 5 FREE Laser Maze Tokens AND a Voucher for 50 Redemption Tickets to use in Sands Amusements! !